Getting your future finances squared away and planning for your picture of retirement is important no matter where you live. 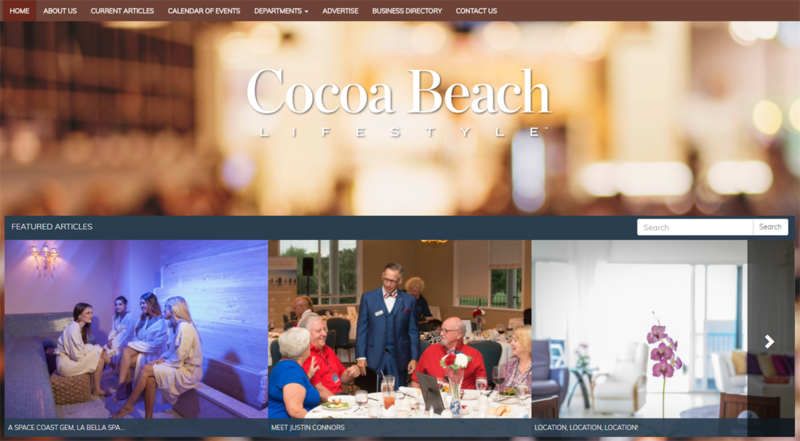 For residents in Cocoa Beach, there’s one man that has been helping Space Coast residents for nearly two decades to do just that. 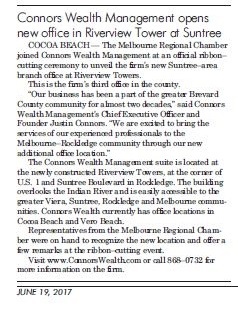 The Melbourne Regional Chamber joined Connors Wealth Management at an official ribbon–cutting ceremony to unveil the firm’s new Suntree–area branch office at Riverview Towers. This is the firm’s third office in the county. 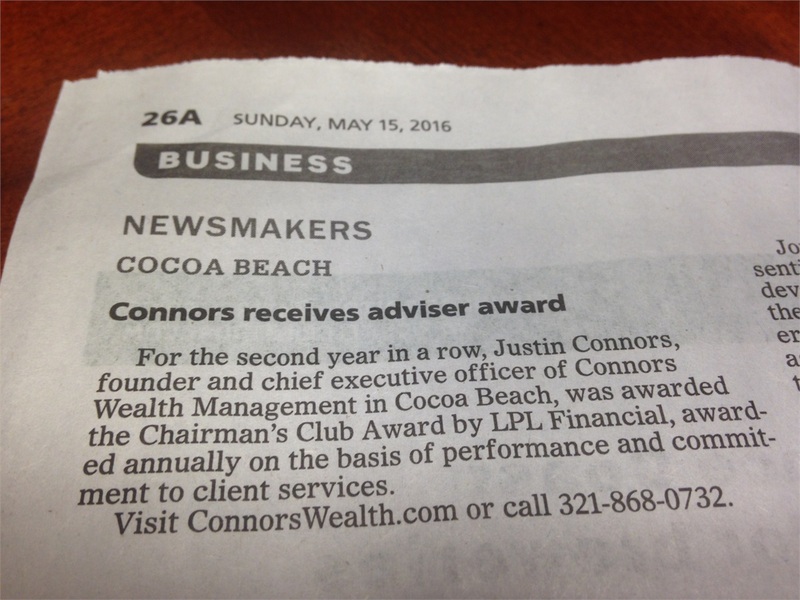 Justin Connors receives recognition for receiving LPL Financial's Chairman's Club Award for the second year in a row based on performance and commitment to client service excellence. 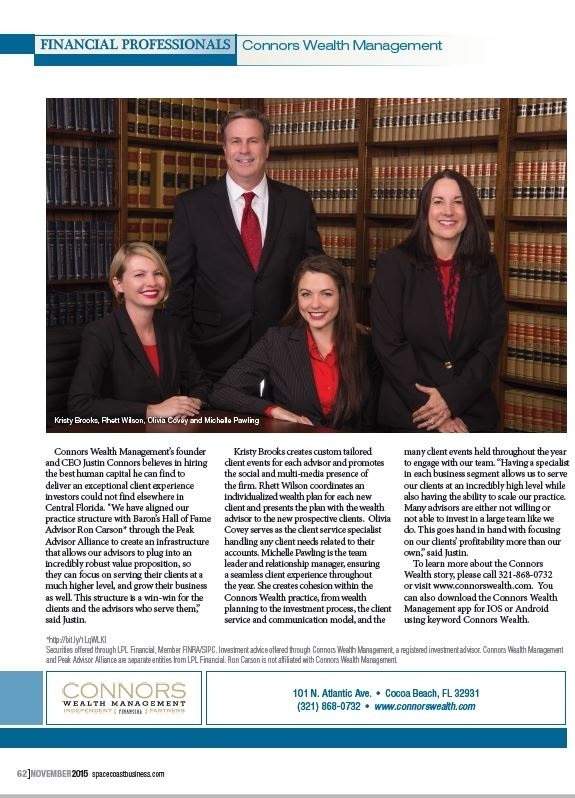 Connors Wealth Management uses a cutting edge technology and a customized discovery process to create a sustainable retirement strategy for their clients. 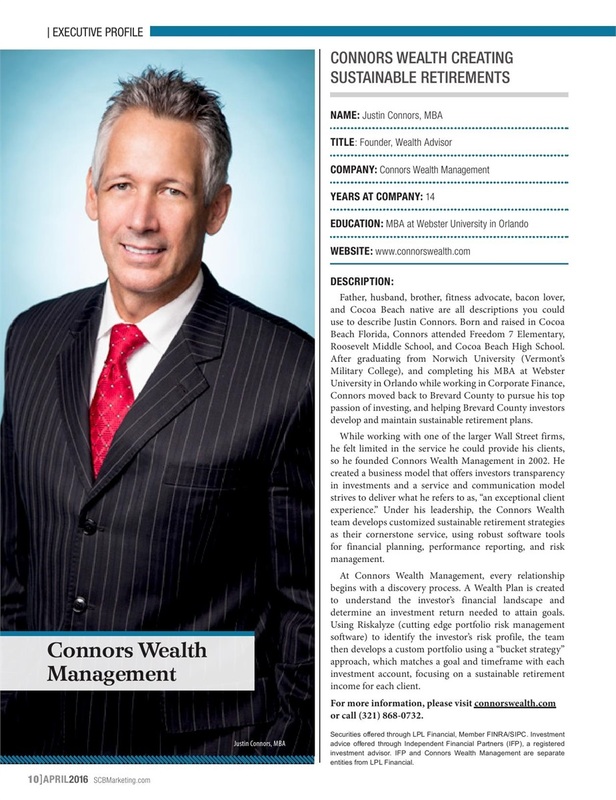 Founder & CEO of Connors Wealth Management, Justin Connors, is interviewed by Investment News about how he collaborates with other leading advisors to for his clients' best interest. Learn more about the support staff that provides an exceptional client experience in Central Florida. 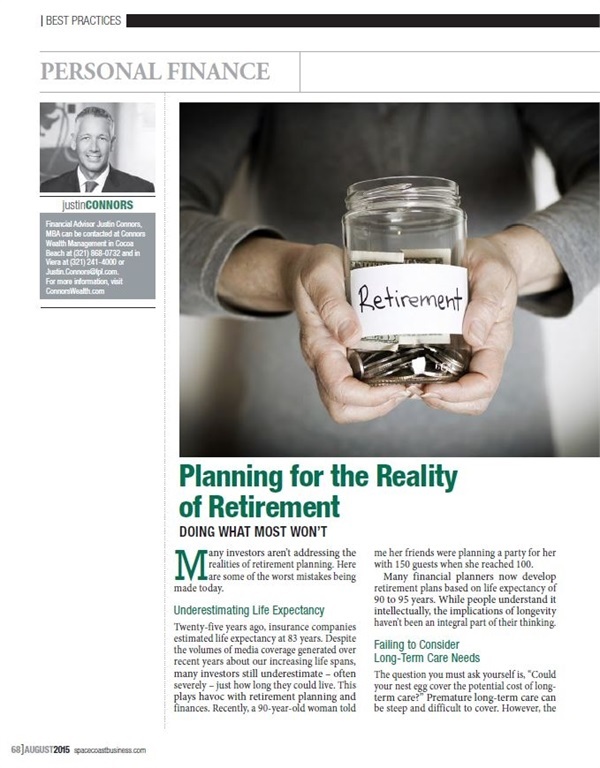 Justin Connors shares top retirement planning mistakes and discusses how many advisors aren't addressing the realities of retirement planning. 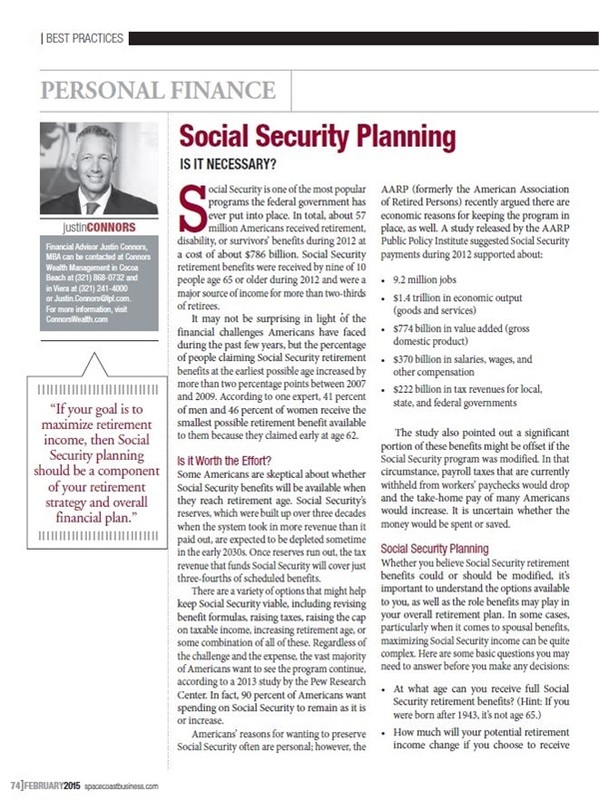 Social Security Planning: Is it Necessary? 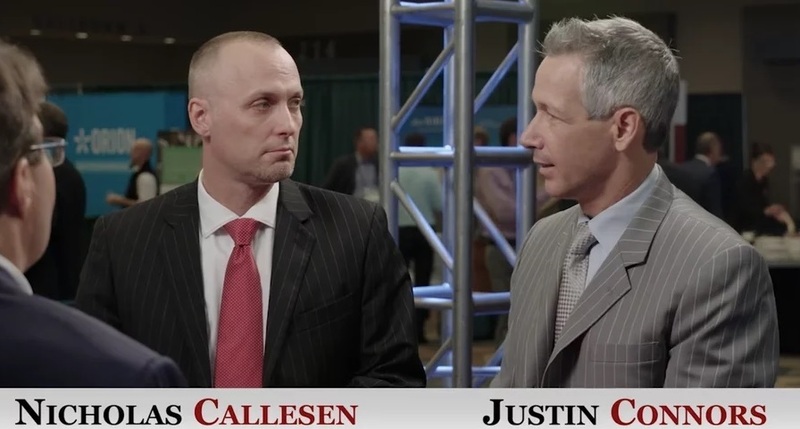 Justin Connors, Founder and CEO of Connors Wealth Management discusses how Social Security is one of the most popular programs the federal government has ever put into place. If your goal is to maximize retirement income, then Social Security planning should be a component of your retirement strategy and overall financial plan. 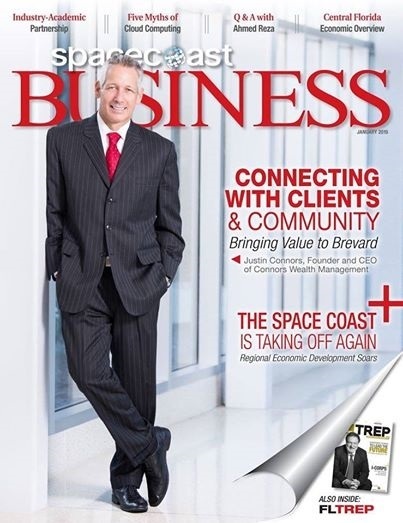 Justin Connors, Founder and CEO of Connors Wealth Management talks about his upbringing and experiences and how his firm adds value to his clients as well as the community.